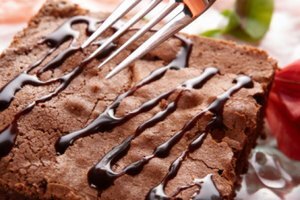 What Can Be a Substitute for Cooking Oil in Baking? 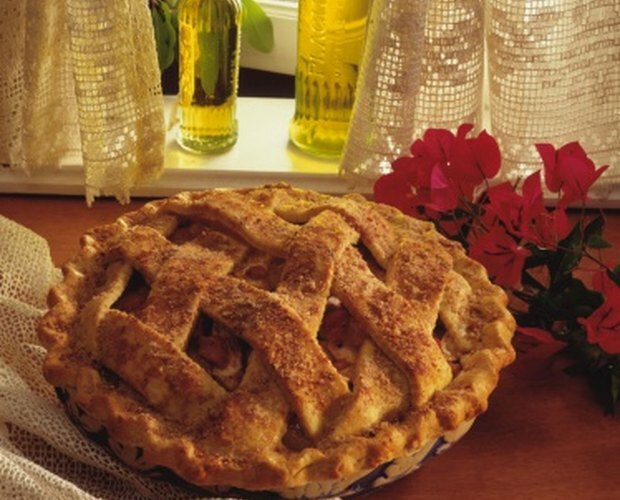 In baking, oils are used to make food moist and tender. You can choose from a variety of ingredients to replace oil when you are baking. However, you need to carefully consider the item you are baking, because the substitute ingredient may alter the flavor. It may also alter the nutritional values of your baked goods. Many of the substitute options are healthier for you than oil, so you can cut calories if you make the right choice. Butter can be used as a substitute for baking oil in an equal ratio, so if the recipe calls for 1/2 cup oil, you can use 1/2 cup butter. Butter and oil are both fats, so you will notice little difference in a finished recipe when you use this substitution. That being said, butter is heavier, so it may affect texture and appearance in some recipes. Baked goods may not be as fluffy, and they may be darker in color. Butter is made up of 80 percent milk fat, while the other 20 percent consists of water and milk solids. Salt is sometimes added for preservation. 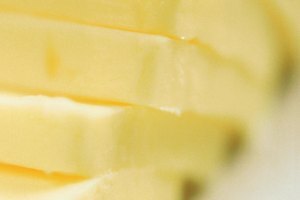 Unless otherwise specified, use unsalted butter, because salted butter may alter the flavor of your baked goods. Pureed or mashed fruit can be used to replace oil when baking, The ratio for replacing an oil with a fruit puree is one to one, so you can substitute 1 cup of fruit puree for 1 cup of oil. It is best to puree or mash your own fruit so you can ensure you aren't adding any other ingredients to the recipe. If you wish to use a fruit that is already pureed, read the label to check that it does not contain anything other than the fruit in question. 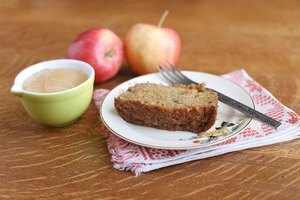 Mashed apples, bananas, prunes, pears, peaches and apricots are acceptable replacements for oil in baking. Yogurt is made when milk that is invaded by friendly bacteria is fermented and coagulated. When substituting nonfat yogurt for oil in baking, it is best to use a unsweetened variety so you don't alter the flavor, or add any sugar. You will use 75 percent of the amount of nonfat yogurt as you would oil, so if the recipe calls for 1 cup of oil, you will use 3/4 cup nonfat yogurt. If you batter looks too dry or thin after mixing, add more nonfat yogurt gradually until you achieve the desired consistency. Buttermilk was once made from the liquid that remained after butter was churned. Now, buttermilk is nothing more than nonfat or low-fat milk that is fortified with healthy bacteria and flavor additives. When substituting oil for nonfat buttermilk in a recipe you will use 75 percent the amount of buttermilk as you would oil. So, a recipe that calls for 1 cup of oil would require 3/4 cup nonfat buttermilk.